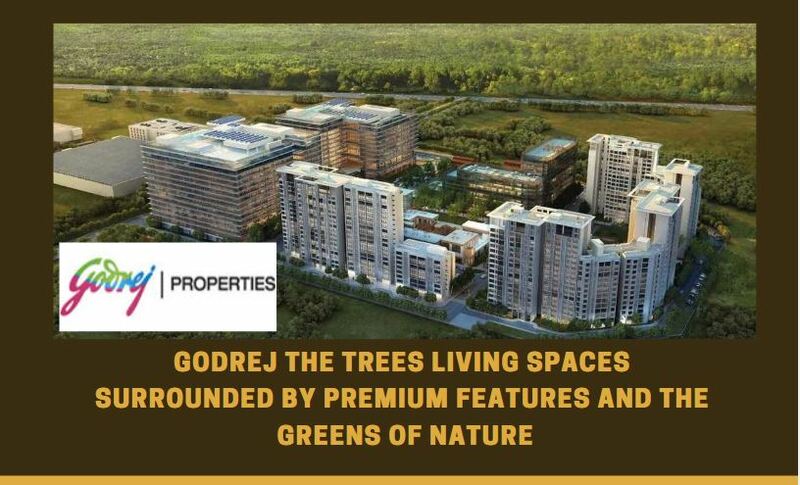 If you are willing to buy a sophisticated home in Mumbai, you might consider owning an apartment in Godrej The Trees. As the name suggests, you will enjoy extensive green zones and open areas in the complex. Mumbai is one of the most-sought cities for the homeowners. You can book one of these apartments for your family and experience the classy lifestyle. The complex comes with elegant apartments of 1,2,3 and 4 BHK configurations. The prices range between INR 1.44 crore to INR 9.51 crore. If you are interested in buying one of these apartments, check out the Godrej trees price for the exact configuration you are seeking. You will love the enriched living experience in Mumbai, when you buy these homes. The complex offers a wide suite of amenities for the residents. The families residing in the complex can enjoy their time in the swimming pool and gym. It also brings you elegant clubhouses and senior citizens corner. The children can play in the dedicated play areas in the residential complex. You can keep yourself engaged with various activities in the complex. The estate comes with extensive landscaped gardens and designer walkways. The residents can spend their time amid the bliss of nature when they move to the complex. The strategic location of the residential complex is one of the key reasons behind the high demand for properties here. When you move to Godrej Trees Vikhroli, you can get a seamless access to the prominent business zones in the city. Mumbai has got a great connectivity and it is easy for the residents to get across to the desired locations around. The places of entertainment in Mumbai are also located near the residential complex. The families can enjoy their time in the complex, get across to the prominent shopping malls and multiplexes and experience the buzzing lifestyle in the city. Mumbai is one of the most important commercial cities in the country. The IT infrastructure in Mumbai is well-developed. Besides, several blue-chip companies are coming up in the city. The residents can easily get across to the important commercial hubs in Mumbai through the well-developed transportation system. Besides, they can get the exposure to the business opportunities in the city. The social infrastructure in Mumbai attracts residents from other cities to the elegant apartments here. When you move to the complex, you can get a quick access to the prominent schools and hospitals around. Besides, the banks, markets, restaurants and bars are located close to the complex. The demand for these properties is on the rise. Buy a classy apartment in Godrej The Trees Mumbai and experience the luxury. For investors and homeowners, this is the right time to make the purchase. Spread across 34 acres . The Eastern Expressway (0.5 kms). Proximity to Eastern Freeway & Santacruz Chembur Link Road. Excellent connectivity to the airport and key business districts of BKC etc. Differential tower heights creating a picturesque silhouette. 30 MInutes To International Airport. 35 Minutes To lower Parel.